Thank you to all who have renewed their membership for 2019 so far and welcome to all new members of the Surrey League. Membership is steadily increasing and for this year each member will receive a Membership Pack, which will be handed to you at your first event, full of product which our sponsors have kindly donated. This Sunday sees Farnborough and Camberley promote their events on the short, but testing, Seale circuit. 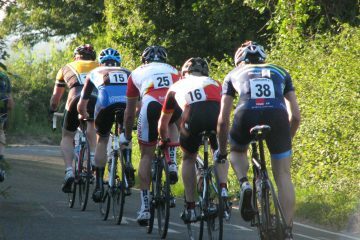 The morning race will hopefully see a full field of 50 riders ready to tackle the 50 miles of racing. 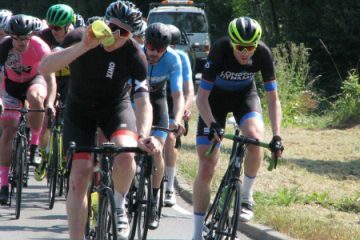 Paceline RT and Kingston Wheelers each bring 6 riders to the race and if last weeks Kirdford event was anything to go by, we could see these clubs working together to get a rider each in a break. Then in the afternoon its the turn for the 2nd/3rd cats. These riders face approx 60 miles of racing with Southdown Bikes CASCO Pet RT and Meudon Pedal Heaven Le-Col RT both supplying 4 riders each to the race. Both races will use Myrtles Courtyard, Hampton Estate, Seale, GU10 1JH as race HQ. Last year’s event proved to be difficult for all concerned thanks to the cold and damp weather conditions. Punctures and few tumbles took some riders out, whilst the cold weather eventually got to others. Still, the racing was hard with various riders attacking hoping to stay away and take the win. 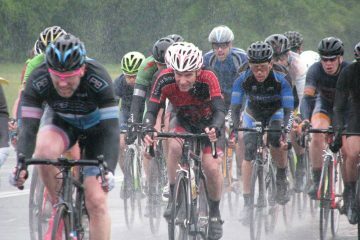 Let’s hope though that the weather this Sunday is somewhat better than last year events. 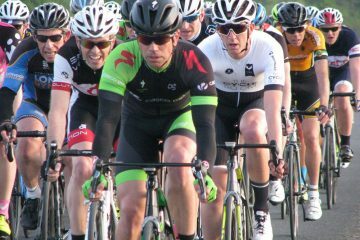 The Thursday evening Handicap series kicks off on 25th April up on the Kitsmead Lane circuit. New for 2019, each Handicap event will be available on RiderHQ which means you can enter in advance. You can also enter on the night if you prefer, but opening it up on RiderHQ makes life simpler for both organiser and rider. If you are new to Handicap racing, this is how it works. Each of the events is held on a Thursday evening starting at approx. 19:15 pm. They are open to all ability categories including Vets, Juniors and Women. 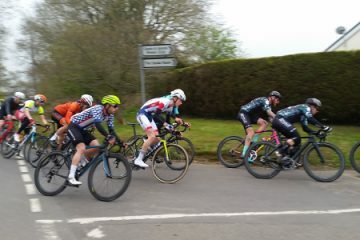 The slowest riders, usually category driven, are set off first with faster riders starting after in various ability groups (equally spaced in time) with the E/1 last to leave. 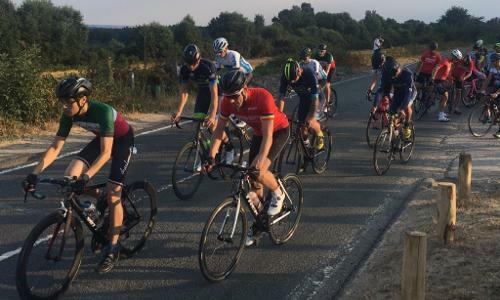 Surrey League bonus points are available for the first 2nd, 3rd, 4th, Vet, Junior and Women riders and will count towards the overall rankings. Below are the first 6 handicap events which you can enter via RiderHQ if you wish. It’s not long until racing at Dunsfold Park begins. Wednesday evening will see the Vets do battle and take on 10 laps of the circuit. This year the race will be split into 3 age categories (40+, 50+, and 60+). The race will still be as one, but come the finish, the results will reflect the new category grouping. Then on Friday evening its the turn of the Women and 4th cats. The Stolen Goat Women series will start a few minutes behind the men and should complete 9 laps of the circuit. The Precise Performance 4th Cat series will start at 7 pm with riders completing 10 laps. Both series are sponsored and prizes (1st place only) will be awarded on the night. You’ll have to be Surrey League member though to claim your prize, so if you win and want to claim your award please join. 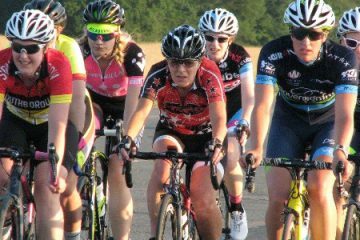 If you know of any 3rd/4th cat women that are looking for racing, in a traffic-free (virtually) and safe environment, then please let them know about the Stolen Goat Women series. 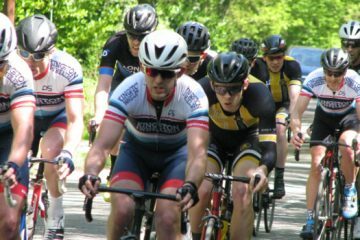 28th April – VC Meudon promote their events on the Milland circuit with a morning 60 miles race for 3rd cat riders. This is followed with their afternoon race for 2nd/3rd cat riders which blesses the riders with 71 miles to cover. Both events are available on RiderHQ with spaces still available. 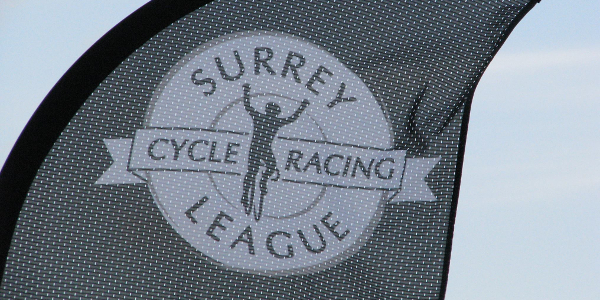 4th May – The Surrey League 3-Day stage race is now SOLD OUT. 23rd June – VC Godalming & Haslemere promote two events on the Cutmill circuit. 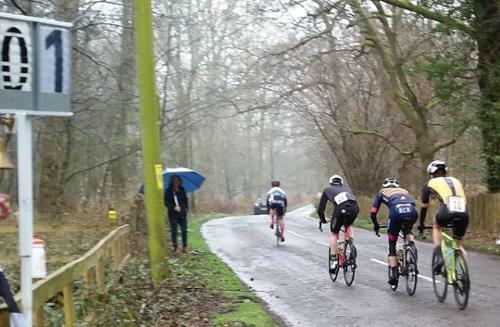 A morning 60-mile road race for 3rds is then duly followed by the 2nd/3rd cat race in the afternoon. Entry into these events opens on the 23rd April via RiderHQ. 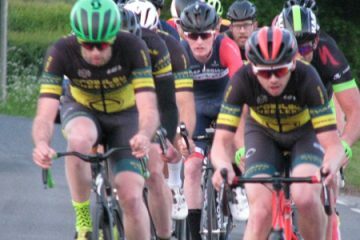 The race calendars are live on our website and are continually changing, but we must stress that the Handicap and Weekend events are still provisional only. Launched in November 2018, the world’s most compelling sport finally gets the chronicle it deserves. 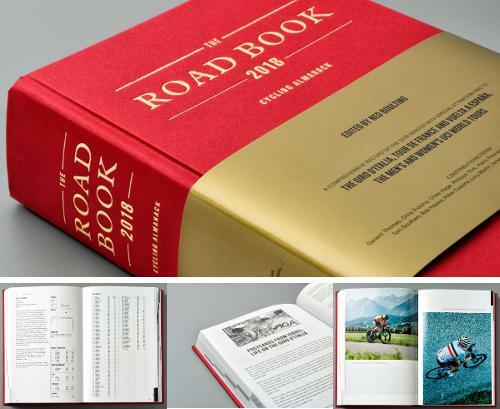 The Road Book is a landmark publication, containing a comprehensive review of last years (2018) racing, from the first World Tour race of the year (the Tour Down Under) to the last (the Tour of Guangxi). The three Grand Tours, five Monuments and the World Championships all receive lavish attention, across one thousand original pages of reports and statistics, as do the UCI Women’s Tour events. Other major races are also covered with an impressive array of data. High-quality images and more information can be found on our website. Membership Packs are now being distributed via the weekend events. Both Glyn and I will be present before sign-on and after the racing to give members their license cards and packs. Please come and find us at the HQ during the day. More information regarding the Membership Pack can be found on our website and its thanks to our sponsors for providing the product/discounts you’ll receive. As well as stolen goat (sponsoring Women’s racing and overall rankings) and Precise Performance (sponsoring 4th cat series), we also have Chimney Fire Coffee, Rouleur, Wilkinson Sword, MOA, Assos (Care Products), and Pelotan all supplying product as regards our Membership Packs. R Squared Industries have also provided a discount code for members for product sold on their website. For a full list of our current sponsors, please view the updated Sponsors page on our website.